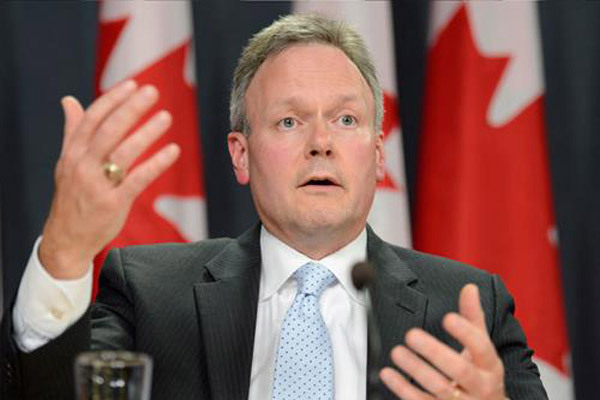 The Bank of Canada is holding its benchmark interest rate at 1.75 per cent, with expectations for one or two further increases later in the year. That gives debt-burdened Canadian households a reprieve from the financial crush of high borrowing costs. At the same time, savers – especially those relying on safe income in retirement – are forced to live on meagre yields. A decade of low borrowing costs has spurred Canadians to live beyond their means. The average Canadian household currently carries nearly $1.70 in debt for every dollar of income. A recent poll by Leger found 49 per cent of Canadians do not have savings for an emergency. When emergencies do arise, 35 per cent said they would take out a small loan or pay for it on their credit card. A separate survey conducted by the Ottawa-based Office of the Superintendent of Bankruptcy Canada found that 53 per cent of Canadians report living paycheque-to- paycheque and 14 per cent found themselves in a dire financial situation, such as filing for bankruptcy or having something sent to collections. The report also found the number of consumers seeking debt relief jumped 5.1 per cent in November from a year earlier. Interest rates have nowhere to go but up from here. The Bank of Canada rate influences the prime lending rate from major banks, which currently stands at 3.9 per cent. According to interest rate tracker Ratehub, the best five-year fixed mortgage rate stands at 3.34 per cent. Long suffering savers will feel the pain longer – and more dangerously. To generate decent returns investors have had to abandon old notions of large fixed-income portfolio allocations and venture into volatile equity markets. As an example, guaranteed investment certificates (GICs) have risen with gradual interest rate increases from the Bank of Canada, but according to Ratehub, the best available three-year GIC rate remains at 3.1 per cent. Bond yields at the longer end of the curve aren’t even worth consideration. Depending on the client, most investment advisors target overall portfolio returns between five and eight per cent. That means volatile equity markets need to do most of the heavy lifting – and more sleepless nights for savers.